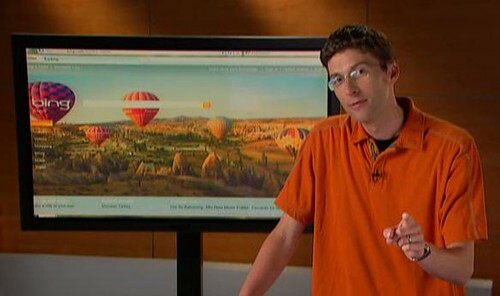 This week’s episode of SEM Synergy focuses on Microsoft’s new search engine, Bing. Bing director Stefan Weitz was today’s guest. He shared some great insider info on how Bing intends to draw more users and how Bing’s a boon to search marketers. It was great to have a real, live Bing rep on the show and I hope you’ll check out the interview, which starts around the 10 minute mark of the show. There’s a new engine in town, after all. Are my IM peeps ready? According to a comScore report of Bing’s week two results, Bing is showing steady growth in search activity. The now-retired Live Search saw a 9.1 percent search share during its final week. 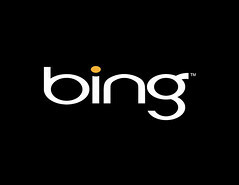 A nascent Bing saw an 11.3 percent share in its first week and 12.1 percent the following week. Microsoft’s search penetration saw a similar incline over the last three week’s, while the number of queries per user trended downward for Bing. Speculation is circulating over the cause of the latter, with two opposing theories taking shape. Some suggest that a low number of queries per user could be the result of users finding what they’re looking for in fewer searches. Others think the low number of queries per user reflects user abandonment. This fact is leading those analysts to the conclusion that searchers are giving Bing a try, but loyalties have not yet been swayed. Support for this hypothesis comes in the form of Compete data that shows an uptick in Bing searches has not been paired with a decline in Yahoo and Google’s search share. As for paid search, it looks like Bing saw an 8 percent jump in the number of search ads clicked. A peek at an eye tracking study by User Centric shows where user attention is focused on a Bing SERP. And would you look at that? 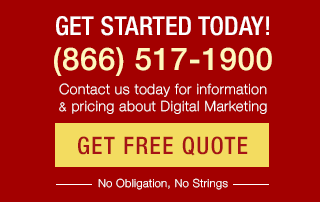 Forty-two percent of Bing users are checking out right-rail ads, compared to 25 percent on Google. It may still be too early to know how success in the search advertising game could affect Microsoft’s pursuit of an ad deal with Yahoo, but some have already reduced their expectations that such a deal will take place. So, we know that users and advertisers are showing interest in Bing, but how has the SEO community responded? Bing has shown encouraging support for webmasters and the SEO community, recently publishing a white paper, Bing: New Features Relevant to Webmasters. 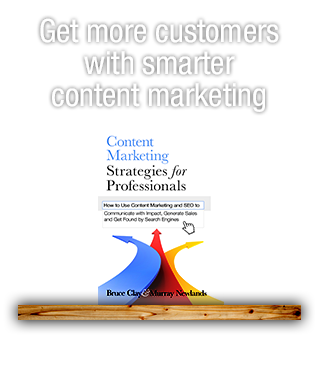 In it, readers learn about non-standard results, changes to the categorization and presentation of results in SERPs, as well as info on MSNBot, Webmaster Center and what SEOs need to do to optimize for Bing. Some say Google’s got cause for concern and others think Bing’s popularity’s a blip, but does anyone else smell a new engine to get excited about? 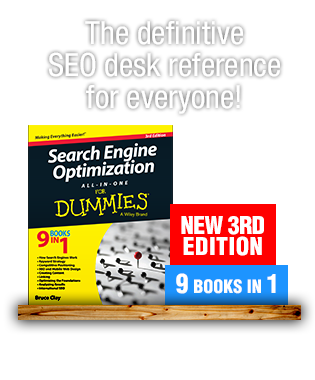 i am using both Bing and Google a nd i thin k both search engines give relevant search results. i would still prefer Google though, because it gives a little bit more relevant search results than Bing. The sample size collected had sufficient power to detect a significant difference. The type of study performed is a common practice in virtually all forms of research practiced in all behavioral science graduate programs in the world (defending dissertations and the like). As you will find, User Centric consultants frequently publish papers in peer reviewed journals and publications, as well as present data at professional associations domestic and international. We believe that we run our studies in a sound and rigorous manner that is in line with the scientific method. That said, we acknowledge some may argue about the sample size. Yes, we could have run more participants, but that only increases power. Would 30 have been better? 40? 100? While sample size is really a question of power, a majority believe sample size comes down to "this smells large enough". But, the problem is that this assumes that the speaker says that these results or scores can be generalized to the population. This is not a question of confidence intervals, but a question of difference. Bing and Google’s scores were significantly different. This is an inferential statistics question whether we can infer from the data that the difference is significant. If we were to run the study 20 times what is the likelihood that we could have found this difference by chance alone (p value of .05). User Centric did not say that the scores were generalizable, but that the difference between Bing and Google were significant. We are able to make that statement and yes, sample size played a role in the statistical analysis performed. Now, we certainly welcome discussions on new research questions or even if we think the result is due to the novelty of the Bing design and whether this will fade away. Valid points where we could run a study with experienced users and other permutations. Please forward topics for research questions to me directly. The result is what it is. Let’s talk about the implications, habituation, usefulness of features, whether the options were copied from Google and improved or made worse.